The Prophecy Music of Rex Luciferius has been predicting locations of Natural Disasters such as Earthquakes and Hurricanes as well as mass loss of life events such as Terrorism and mass shootings since 2016. Hundreds of news articles have been written about the Prophecy Music of Rex Luciferius creating a new genre of music. Fans of Rex Luciferius believe the bands Songs and Music Videos are predicting historic future events. 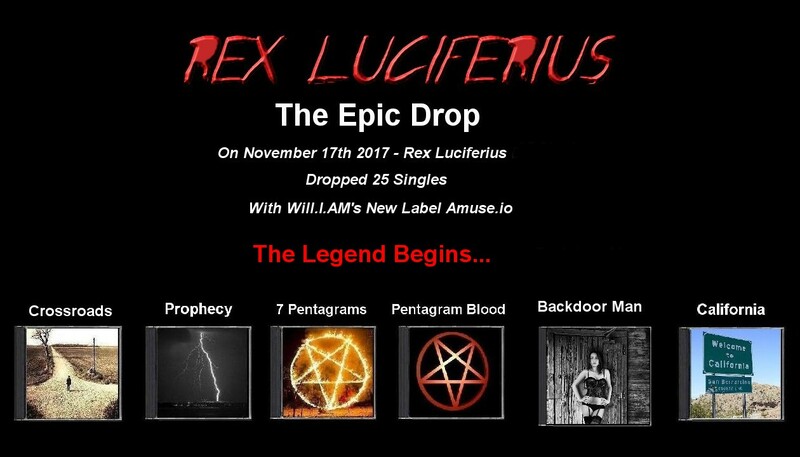 The Songs and Prophecy Music of Rex Luciferius are some of the most listened to songs on music sites such as SoundCloud where Rex Luciferius has put 25 songs into the TOP 10 LISTS of 5 Genres of Music. Welcome to the Music of Rex Luciferius the Band that is fast becoming one of the most listened to Bands in the History of Music.